In this article you can find an easy and effective solution to undelete files from Recycle Bin, HDD, USB flash drive, SD card, etc. with the help of a free recovery program. As the rapid development of science and technology, the manipulation of computer is no longer as mysterious as it was. It is as popular as cell phones and plays significant roles in working and daily lives. The fun of Internet and computer technology lies in file storing and information sharing. Users are able to store, modify, delete, move, copy, cut, paste files at will and even share or transfer files with friends and family via Internet. However, there are occasions that users delete files by accident, or empty the Recycle Bin without a second thought. Sometimes, we feel pestered when certain files we don’t need for the moment occupy disk space, then we’ll press the delete button right away without any hesitation. Soon, we realize that those deleted files are quite useful. This will be a serious problem if you have no idea of how to undelete files. For Windows computers, when a file is deleted, it is moved to Recycle Bin first instead of being deleted directly. Recycle Bin only holds the name of the deleted file with same directory, folder path, and it is used for further deletion of files. Actually, the operating system doesn’t move the file’s from original physical sectors to other sectors. What operating system does is assigning a different directory entry to the file, which is the namesake and an intact path name to the folder “Recycle Bin”. Therefore, deleted files are not actually removed and computer only modifies the entry, and the file can be restored at any time from Recycle Bin before it is emptied. It is very easy to undelete files when they are still in Recycle Bin, choose files and right click mouse button and then select “Restore” item. Then these files will be moved back to their original location. How to recover files if they are deleted from Recycle Bin? Does empty Recycle Bin means files get wiped permanently from hard drive? Not really. The answer is deleted files still stays on hard drive. This time, the entry is deleted, so that operating takes sectors taken by the files are free and ready for storing new data. In fact, deleted data remains until Windows stores new data and overwrite lost data. 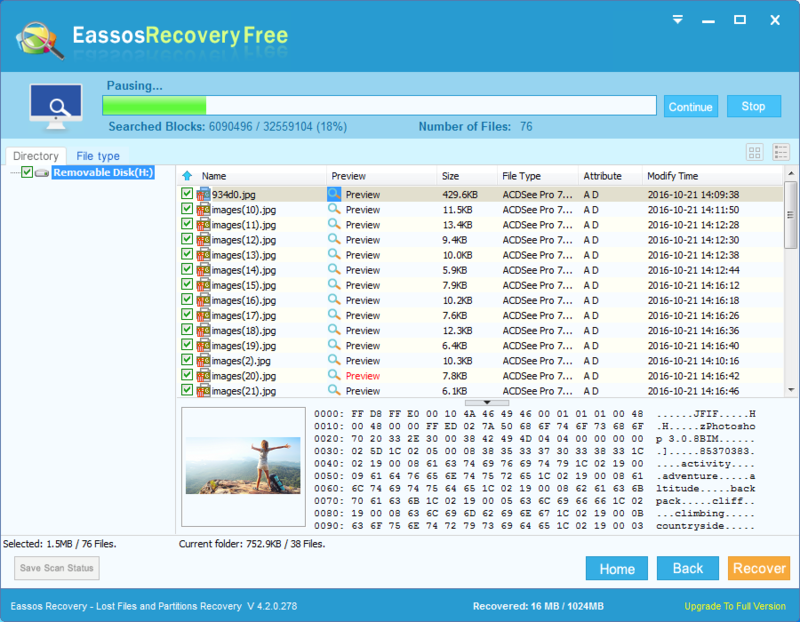 Thus, possibilities of successful recovery of deleted files decrease as time goes by and more files are saved on hard drive. We need data recovery software to undelete files from empty Recycle Bin. 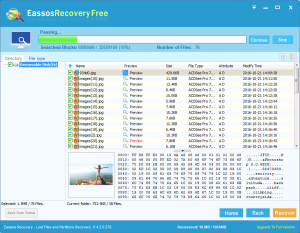 And Eassos Recovery Free will be the optimal choice, for this program supports recovering deleted files and it is free for non-commercial use. First, download and install to computer (Note: do NOT download or install the program to the partition where lost files were stored). 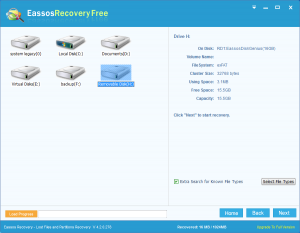 Second, let Eassos Recovery Free scans the partition and get deleted files recovered after scanning is done. From this undelete files is so easy that all common users can perform this on their own. 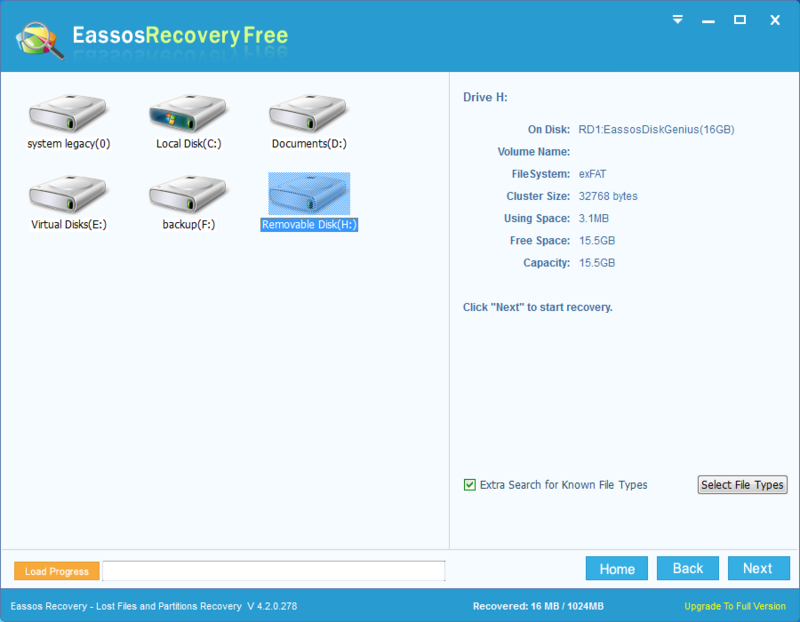 How to undelete files with free data recovery software? 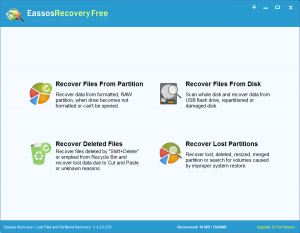 Install and launch Eassos Recovery Free from your computer. Note: do not install the software to the partition which suffers from data loss. 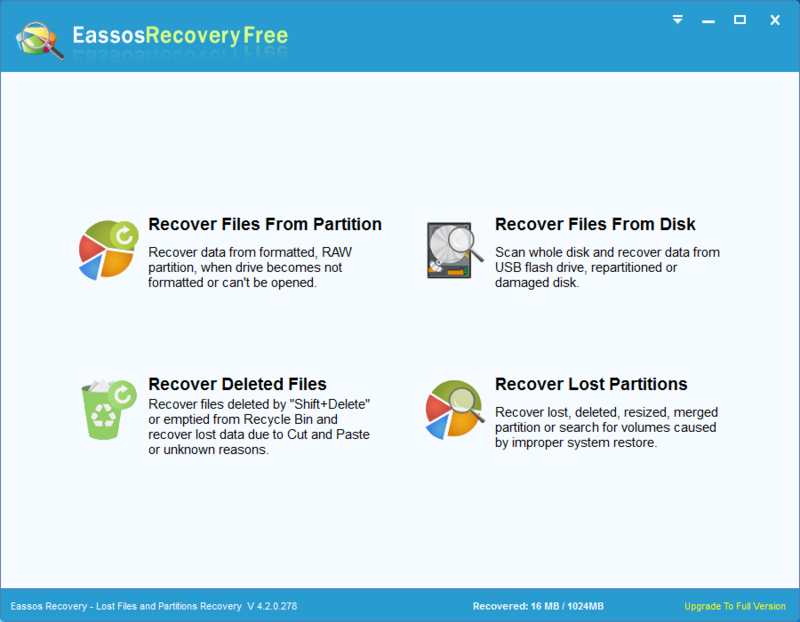 Select “Recover Deleted Files” recovery mode from the main interface. Choose the partition where lost files were store and then click “Next” to scan data. When scanning complete, you can preview and recover files to a safe location. This entry was posted in Data Recovery and tagged Eassos Recovery Free, undelete files by EASSOS. Bookmark the permalink.